Joseph Smith and the LDS Tabernacle, Salt Lake City. 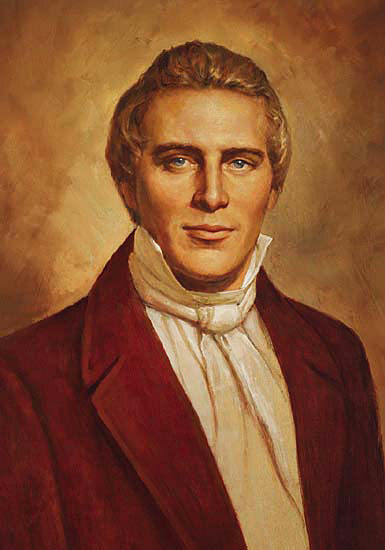 How to Become God of Your Own Planet�The Promise and Tragedy of the Mormon (LDS) Church: Joseph Smith, founder of the LDS church, accumulated 23 wives here on earth. But now, as god of his own planet somewhere out in space, Smith has a harem of wives unlimited in number. And guess what? The LDS elders of Salt Lake City want you to have the same! 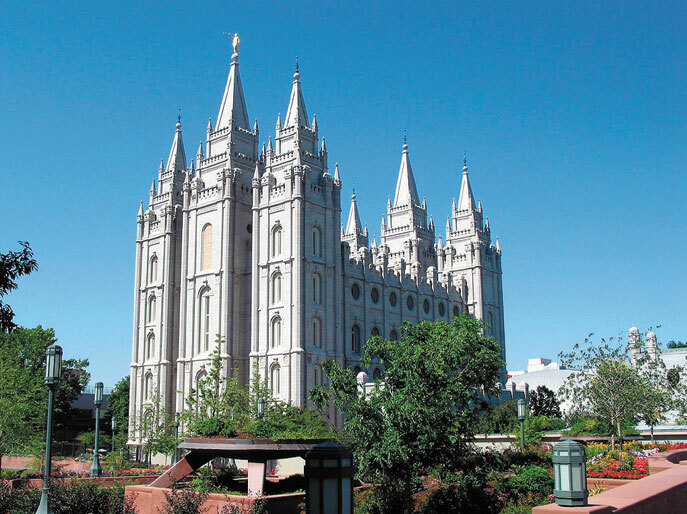 Texe Marrs and Dr. Cathy Burns (author, Mormonism, Masonry, and Godhood) examine the bizarre teachings of the Mormon faith. Discover why this strange Church teaches that Jesus and Lucifer were brothers, that every man may become a god and rule over his own planet complete with many women-wives, that Jesus is only one of many such gods, and that the Father God and his goddess-wives live on a mysterious planet called "Kolob." Over 15 million men, women, and children have bought into all this incredible nonsense, and the ranks of the LDS are ever growing.